The Collegiate Church, established in New Amsterdam in 1628, held a healing ceremony with representatives of the Lenape Indians on Friday, November 27, 2009. The date marked the first observance of Native American Heritage Day, as signed into law by President Obama in June. 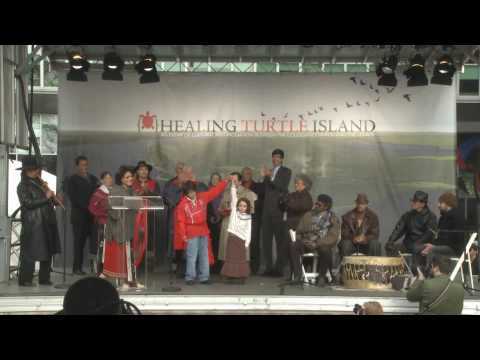 “Turtle Island” is a common reference among Indian peoples for the land that European settlers called “the new world.” Read more. Global Peacemaking – What Does That Mean?